I hope you love these simple nap time DIY projects! Okay, it doesn’t exactly have to be nap time. But the point is, even if you THINK you don’t have time, these simple DIY projects are quick enough (think, thirty minutes or less!) for you to do during those few minutes you allow yourself to relax – which you should if you don’t already. 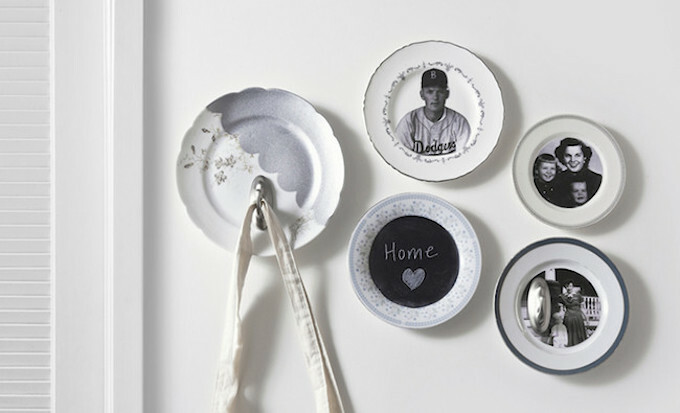 These ideas were curated because they’re perfect for the home (you get to look at the pretty thing you made), practical, and super quick and easy to make. Disclosure: this post contains affiliate links. I always thought that when I’d have a home, I’d make all sorts of DIY projects or it. When I was a teen, my mom bought me a book that I call my “bible” – it’s about 4 inches thick, and full of DIY projects. And you learn just how hard it is to get out a hammer and nails with little kids around! These simple DIY projects for the home can be done during naptime – and most of them DON’T involve a hammer and nails. I hope you gain some inspiration! All of the images for these simple DIY projects were used with the permissions of the respective bloggers for the purpose of this post. Click on the title link or image for the full tutorial. I have created a square and vertical image for your convenience for sharing these simple DIY projects. Please use the first or last image in this post when sharing and not one of the individual photos below, out of respect for the creators’ copyrights. 1. 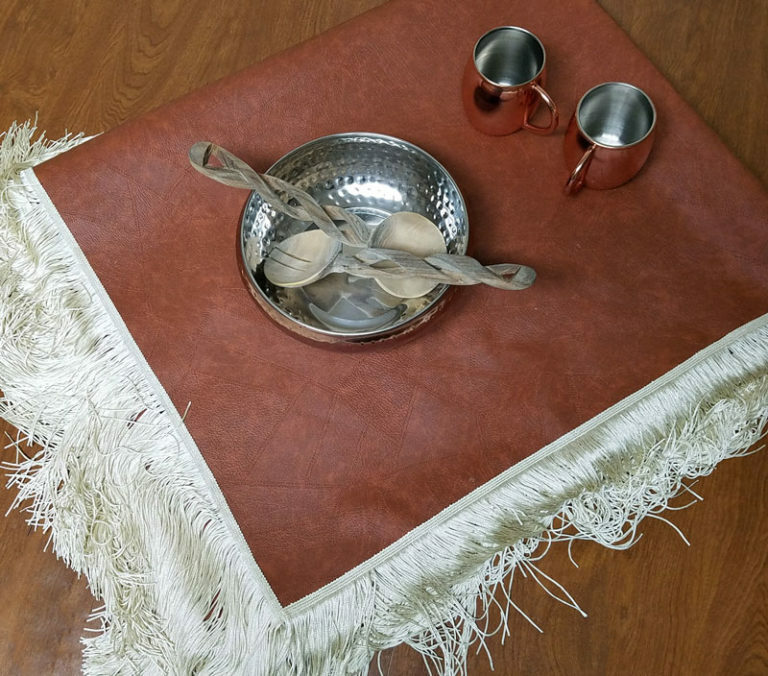 DIY Leatherette Tablecloth – No Sew Tutorial! A new tablecloth is always great to change things up a bit. Cut the cost and do it yourself- it’s easy! This super kid-friendly version looks great and wipes clean. All you need is a nice length of leatherette vinyl to start you off. 2. 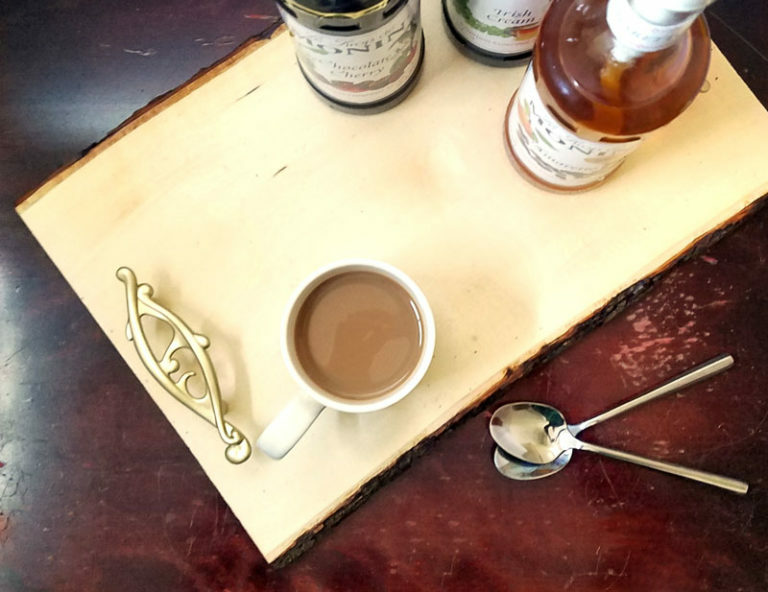 DIY Coffee Bar Tray for a fun flavoring station! I love having a separate coffee station to keep all my coffee-related things, instead of looking into various cabinets. 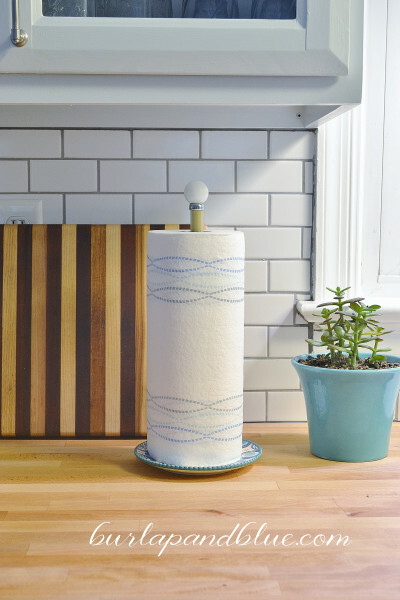 This DIY tray is a beautiful addition to your counter-tops. My secret? A pre-made slab of live edge wood, and spray-painted cabinet hardware! I’m always trying to corral keys, purses and things in one area, so that I’m not just dumping anywhere. This stylish organizer looks nice in any entryway, and does the job pretty efficiently! And yes, they are real rocks! Click on the image to see how I mounted them securely to another basswood slab. 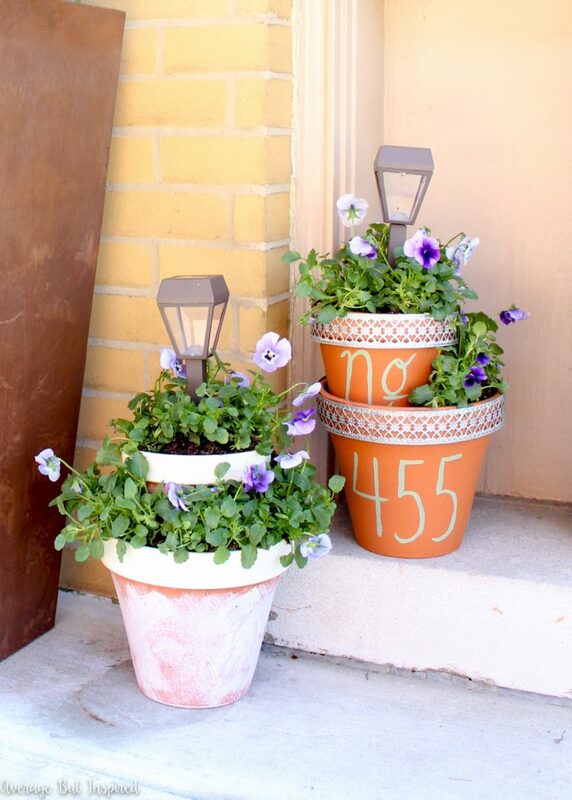 This DIY is easier than you’d think! It looks beautiful, and you can totally customize it to match your kitchen! I absolutely adore these! You can never have enough coasters, am I right? 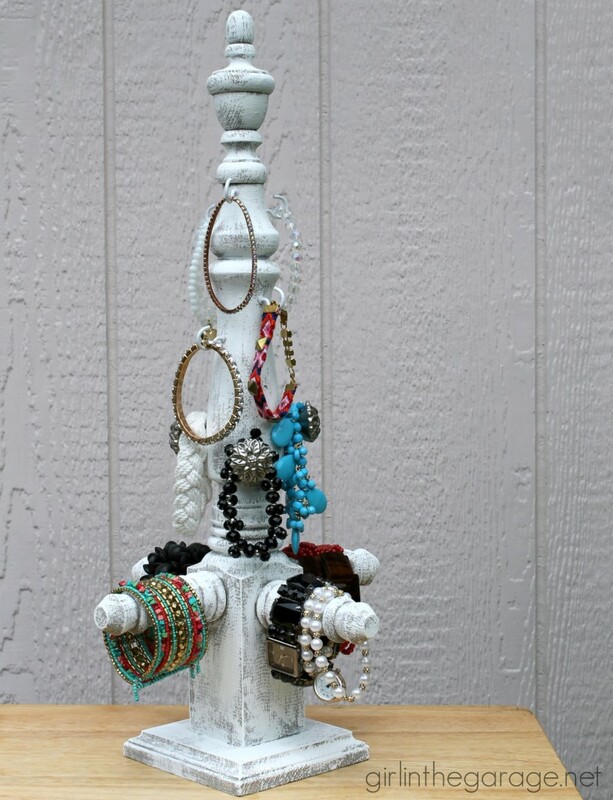 What a lovely way to display some jewelry! This will make a great statement piece on any dresser. This project has so many things going for it- it’s easy, practical, saves energy, and it adds character to your home! 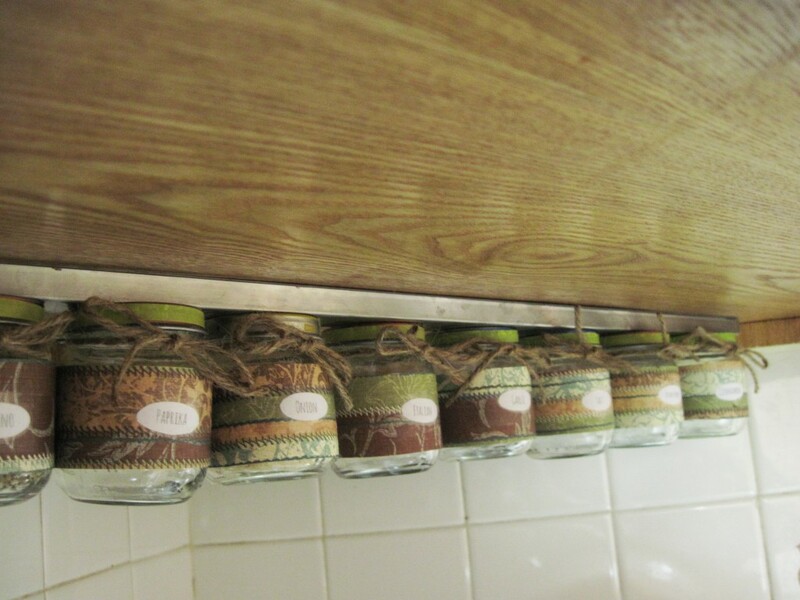 This spice rack really takes things to the next level (no pun intended)! It’s a great way to upcycle and free up some precious counter space. 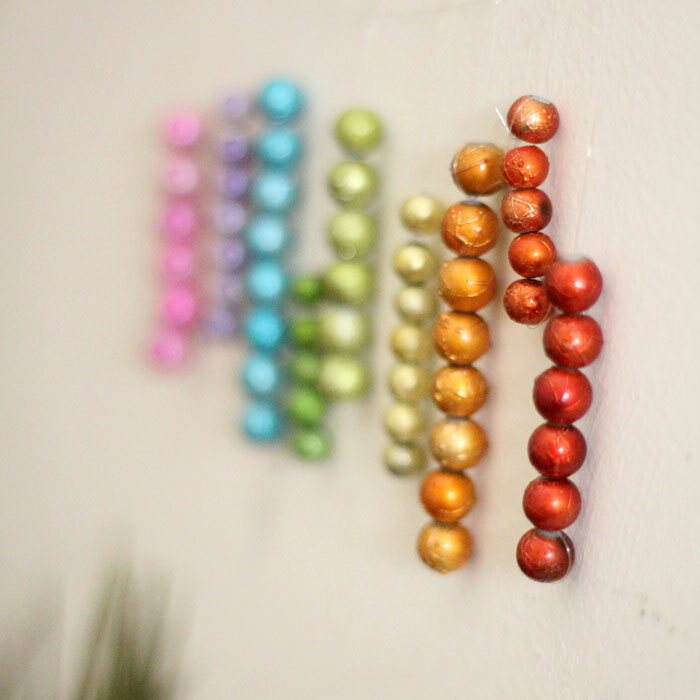 Mount them on a knife rack and keep things looking cozy and pretty! 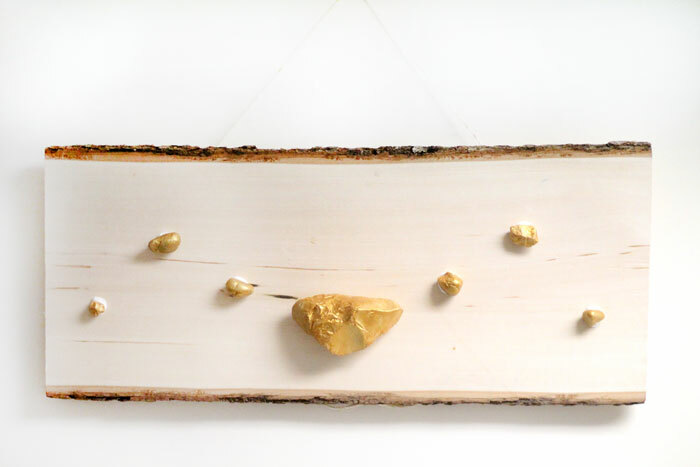 This is a beautiful and simple project- use it to decorate a child’s bedroom or playroom! 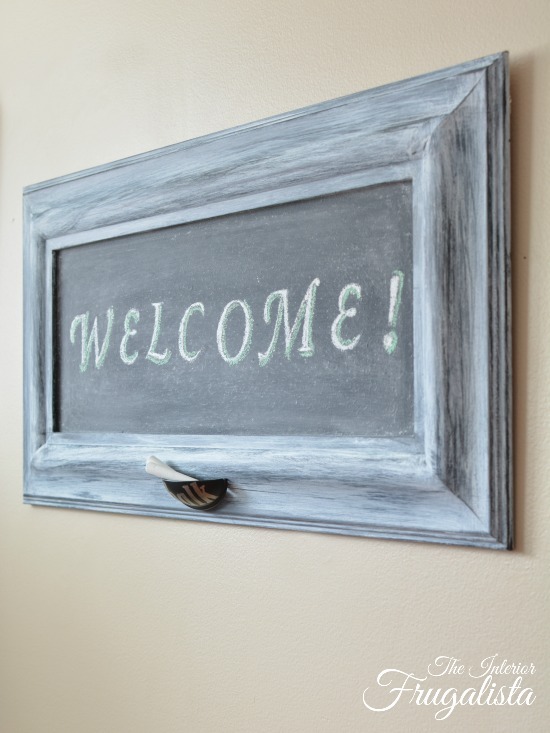 This DIY is the perfect way to repurpose an ugly frame laying around the house. I can see myself using this in my kitchen to jot down supper ideas or grocery items. 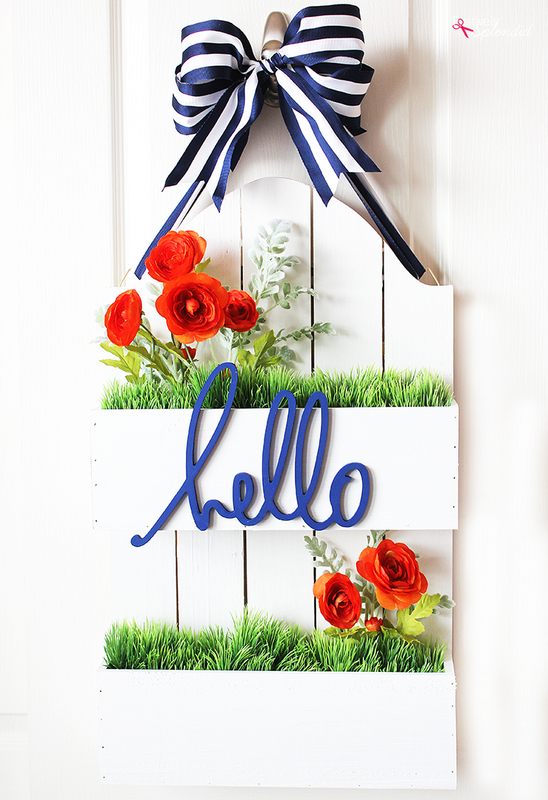 What a beautiful way to add some personality to your front door! Such a brilliant take on the classic wreath. 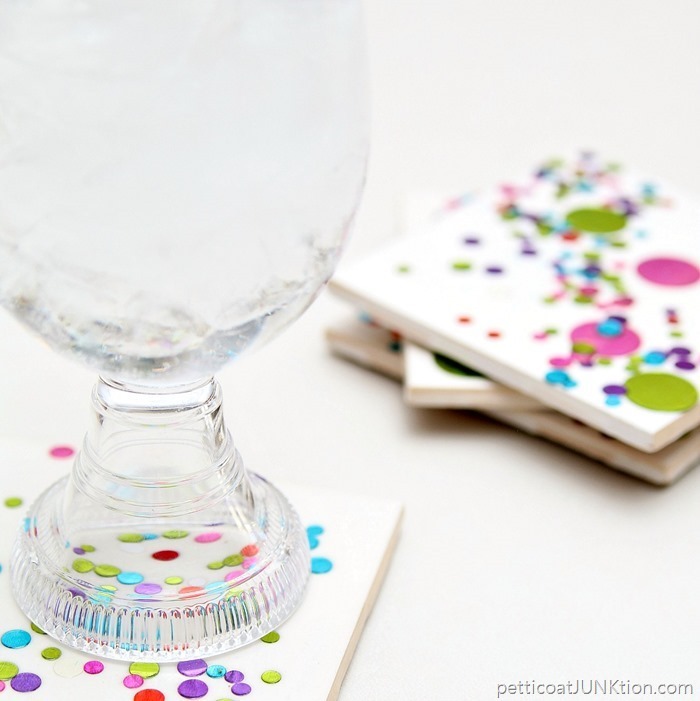 This DIY idea is so versatile! Vintage photos, school photos, nature… anything to brighten up your home! It can be difficult for us Moms to find time to be creative, whatever your passion may be. 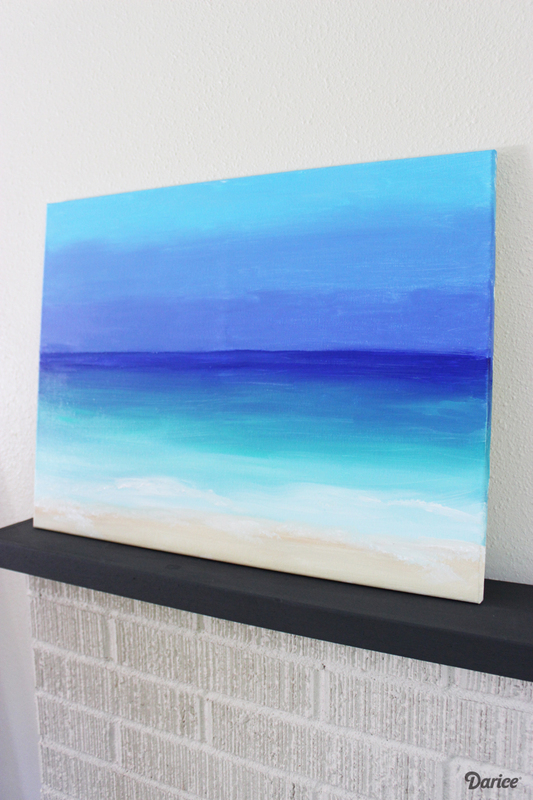 This lovely ocean scene is a great way to get some painting done– quickly! 14. 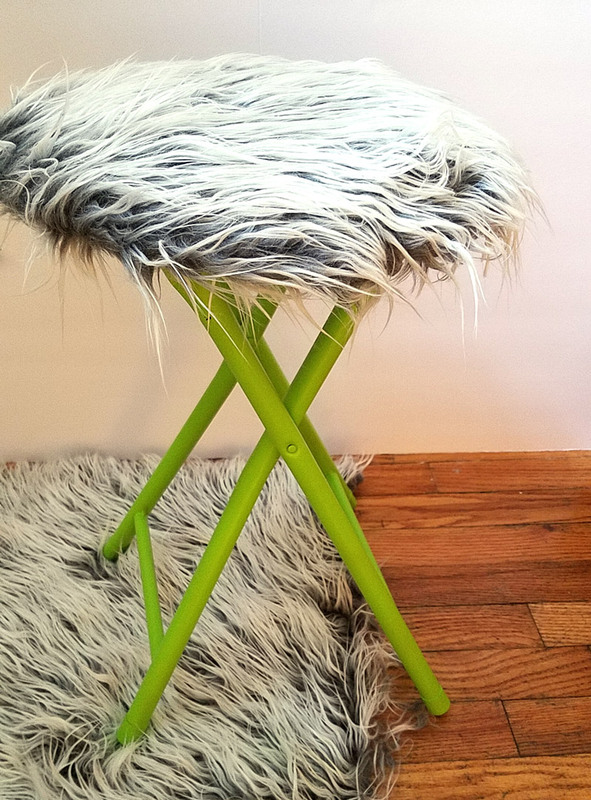 Faux Fur Stool Makeover – Quick & Easy! The gorgeous faux fur transforms an old stool into a stunning accent piece for any room in your home. I have it in my craft room, but it’s great for the bedroom, or even near a kitchen sink, for the kids to stand on! 15. 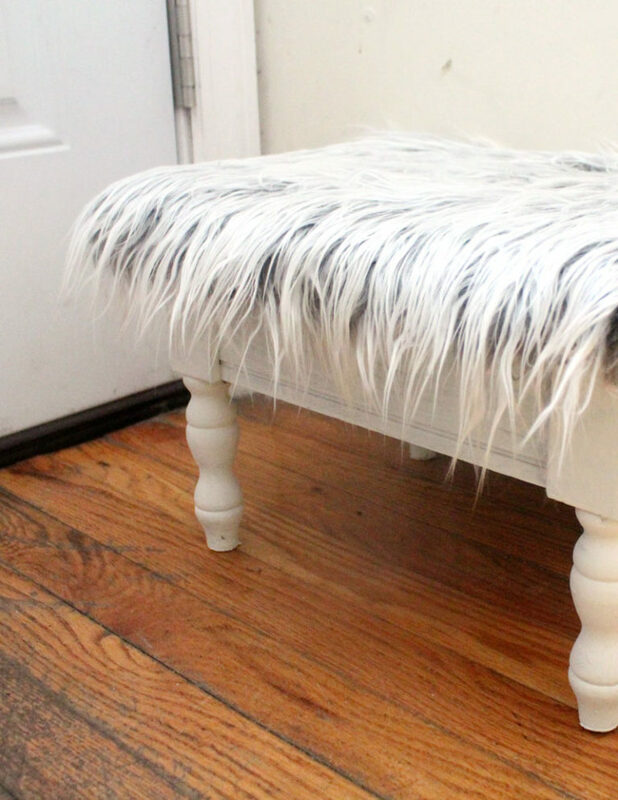 DIY Fur Stool Makeover – turn a cheap stool into something epic! Turn this simple metal stool into an awesome accent piece- be it craft room, playroom or kitchen! This project could not be easier or more fun! 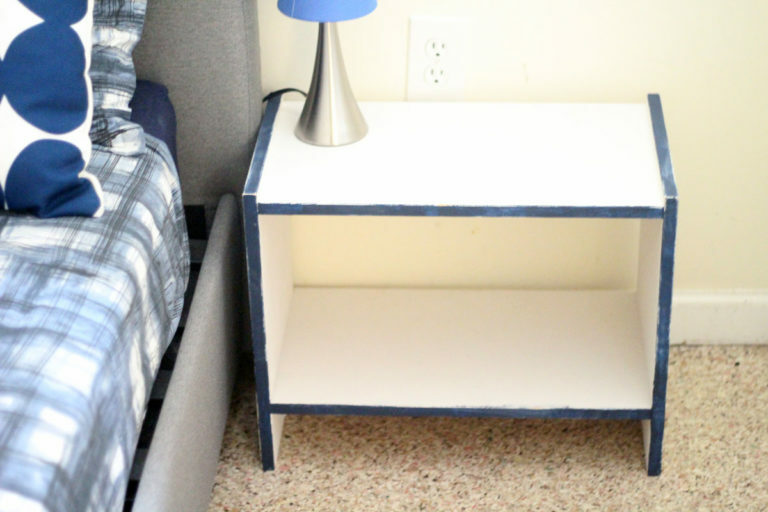 This simple nightstand gets the perfect makeover with a little paint! Live edges and hammered copper are about as cool as it gets in my book, and Lia Griffith totally nailed it here! 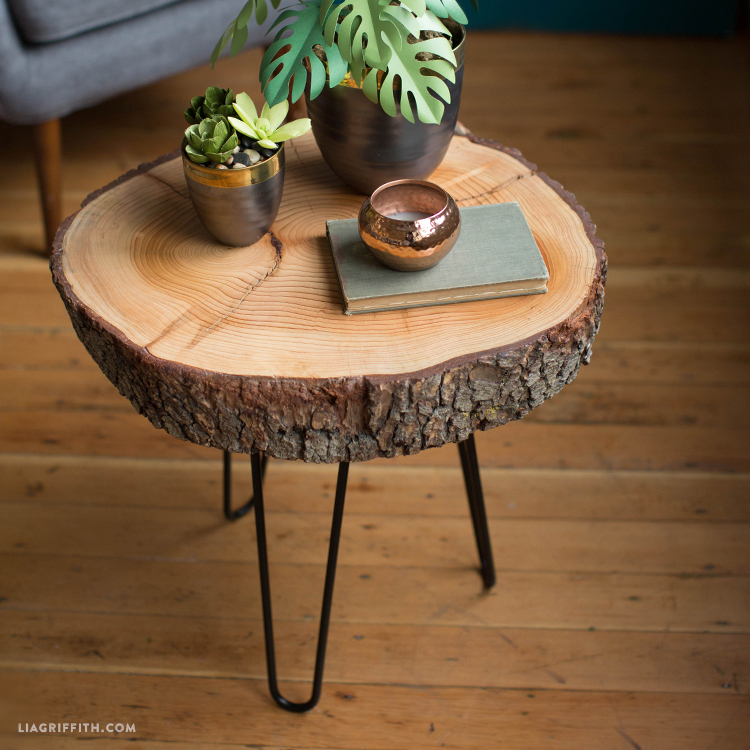 This wood slice table is very simple to make and one of my personal goals for when I have a wee bit more space. 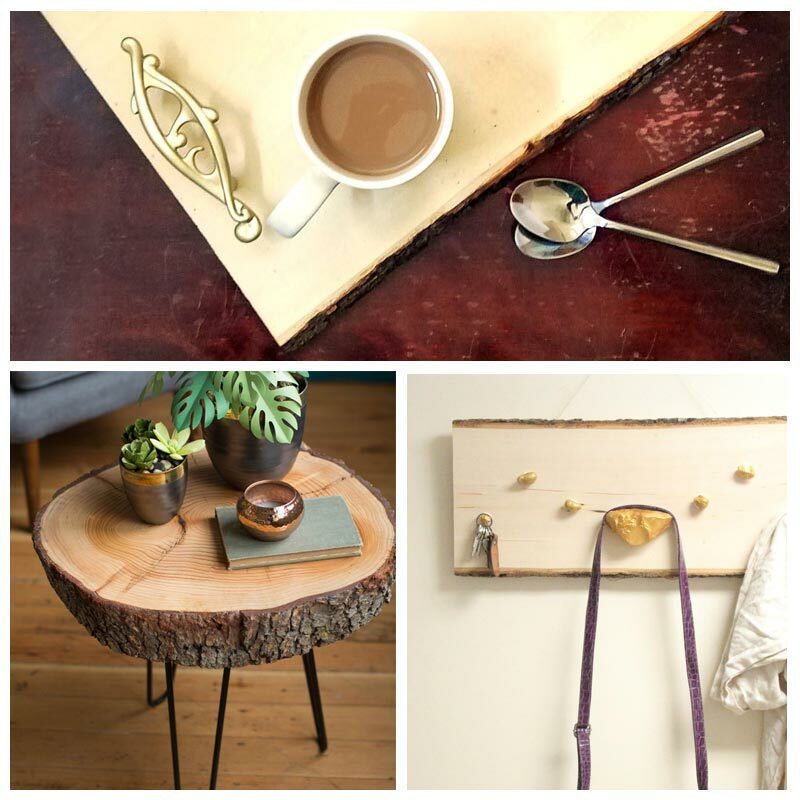 Which simple DIY projects do you want to make for your home? Comment below! Crafts for Adults, Crafts for moms, Grown-ups, Home and Organization, Home Crafts and DIY, Quick and easy crafts. Bookmark. i’m completely in love with the log/stool and the plants and ….everything! !